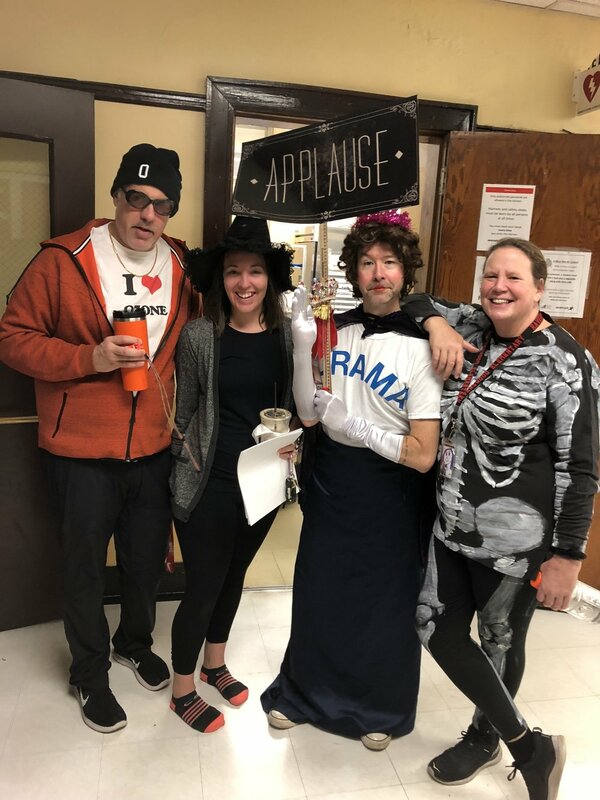 Our Essentials teachers celebrating Halloween 2018. We go all in every day of the year! We are proud to be a neighborhood Chicago Public School, ensuring high student achievement in one of the United States’ largest urban school districts. Because of our city and state’s precarious financial sitation, we don’t always have the funding we would like. Instead, we rely on the excellence and commitment from our team to ensure the best possible education for every one of our students. It’s that outstanding teaching environment that makes us among the top 10 elementary schools in the city. We have high expectations for our staff. We’re not looking for someone who’s going to just “read from the book.” We want a team comfortable with our mission: an outstanding education, a strong sense of community awareness, an integrated arts curriculum, and a celebration of social justice. There’s no question about it: working at Ravenswood can be intense. But: you’ll go home every day knowing that you made a tremendous impact on the lives of some amazing students. Your efforts and commitment will lead directly to their long-term success. And, day in and day out, you’ll have the support of our outstanding administration and staff. Your peers will be some of the top in their areas. You’ll have room parents and volunteers willing to help out in every way possible, from making copies to decorating classrooms. You’ll have amazing partners providing ongoing curriculum and instructional support. And you’ll find a strong community dedicated to showing their appreciation. Does this sound like a fit? If so, please check out our open positions here. We’re looking forward to meeting you!